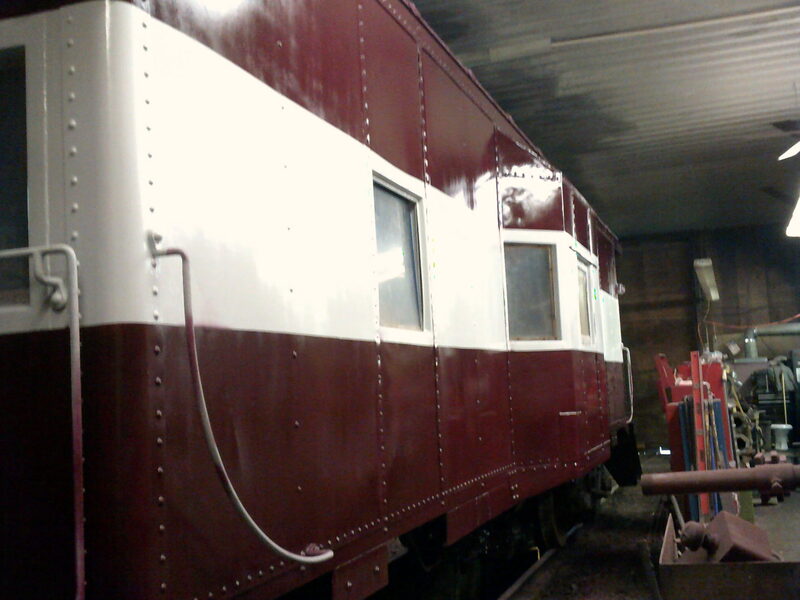 Railroad volunteers have invested hundreds of hours and thousands of dollars into the rehab of EL bay window caboose #C316. Exterior work included, sanding, priming with an epoxy primer and painting with automotive quality paint. The roof received a coat of roof tar and the brake system received a full COT&S. There is still some hand painting to do on the exterior as well as the application of lettering and stripping. Windows need to be replaced and the interior has yet to have any work.